Last night’s edition of Extreme Weight Loss was way down in the ratings (likely because it was a last minute replacement) but that hasn’t soured ABC on the series. The network has renewed Extreme Weight Loss for a fifth season of 13 episodes for next summer. 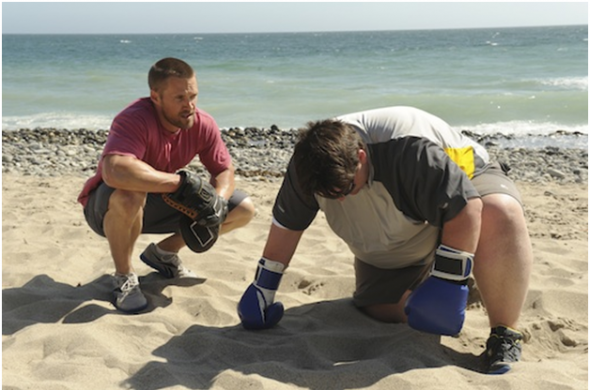 Episodes take a year to film because they follow the weight-loss efforts of obese subjects over a year. The ABC Television Network has ordered 13 new two-hour episodes of the hit series “Extreme Weight Loss,” a unique, non-competitive show about weight loss that documents the unprecedented 365-day journeys of courageous, “super-obese” people. Season 4 is currently airing on Tuesdays (8:00-10:00 p.m., ET/PT) with its highest ratings in more than two seasons. The series is produced by Eyeworks USA. In Season 5, there will also be three special editions, “Extreme Weight Loss: Love Can’t Weight,” in which Chris & Heidi Powell will help three couples get in shape — both physically and emotionally – for each of their weddings. ·	“Extreme Weight Loss” ranks No. 2 in the Tuesday 8:00-10:00 p.m. slot among Adults 18-49, behind only NBC’s “America’s Got Talent.” “Extreme Weight Loss” dominates its unscripted competition on FOX (“Riot”/”I Wanna Marry Harry”) head-to-head by enormous triple-digit margins in Total Viewers and Adults. ·	On average, “Extreme Weight Loss” is growing its overall audience over its prior summer average and is up by 9% in Adults 18-49. New in Season 4, in addition to working with Chris and Heidi, each participant spends the first 90 days of his or her weight loss journey at the renowned University of Colorado’s Anschutz Health and Wellness Center (AHWC) in Aurora, CO.
What do you think? Do you like this series? Are you glad to hear that it will be back for season five next summer? that I don’t ever miss. PLEASE keep it on the air! I’m ecstatic to see it’s been renewed! Season 4 was the first I had seen – I’m not a big TV watcher. This show is really inspirational and the only reality show I will watch.